TLLTF foundation employees prepare for food distribution at CISC. Foundation staff recently took a morning out of the office and joined with other volunteers at the Christian Information Service Center (CISC) to distribute food. CISC distributes food every weekday morning, and this particular morning almost 200 clients were served. 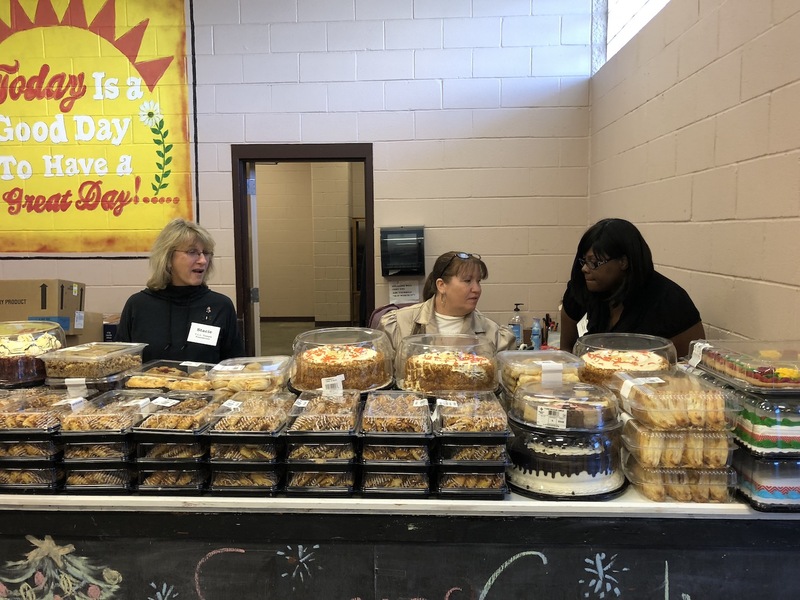 In this photograph, CISC employee Kathy Loftin explains how to display desserts for clients’ selection to foundation employees Stacie Ratcliff and Kelly Follie. This year, CISC expects to distributed approximately 2.8 million pounds of food.